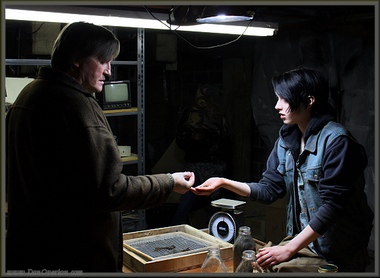 A scene from "Seed" with actors Milan Dragicevich, left, and and Bria Sutherland, right. Our twenty-plus person crew occupied Holyoke's Wauregan Building throughout the last weekend in March and completed production on SEED. Holyoke's Wauregan Building site of filming of science fiction movie. We are now moving into post-production. More to come!